It is now possible to list all CAD operations using an 'undo history' which makes it very easy to step back through the working process. It is also possible to save working view snapshots of layer settings, viewing direction and zoom level. This helps when sharing data as it provides the ability to immediately switch to an active viewing zone. 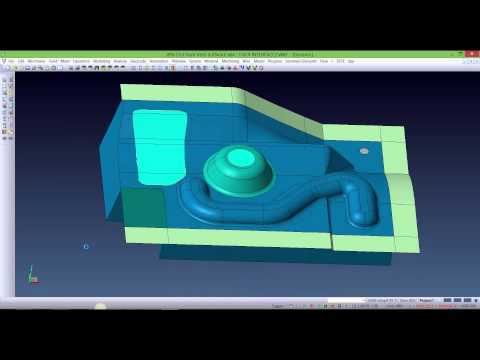 VISI 21 also includes many new features in the area of surface modelling. The new features expand on surface extension, surface tangency, and blending between curves and faces with curvature constraints. The new tools are ideal for mould tool parting face construction, and sheet-metal forming stage development. VISI 21 introduces the ability to define multiple instances of the same geometric body. For example, changes to an active component, such as a core, the automatically update references to the same geometry. VISI 21 introduces tolerance management for drilling. 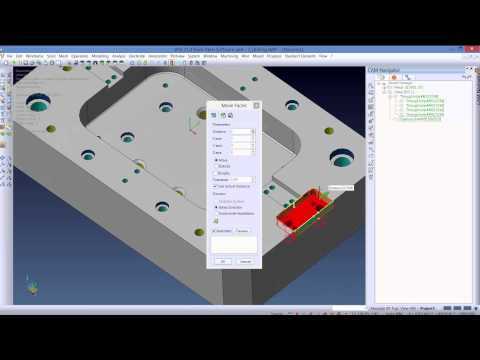 The tolerances can be added automatically when creating holes with the feature manager or added manually onto a cylindrical body face. This additional 3-D function has been embedded into a number of VISI functions, providing access to manufacturing data for simple & complex hole features. The kinematic simulation has been significantly improved for VISI 21 to include the integration of movements in terms of gears, gear racks and rails. In addition to the geometric constraints, the physical interaction model captures geometries and the results of the complex mechanisms can be simulated and tested. Create 2D plotview drawings from any stage of an exploded animation. 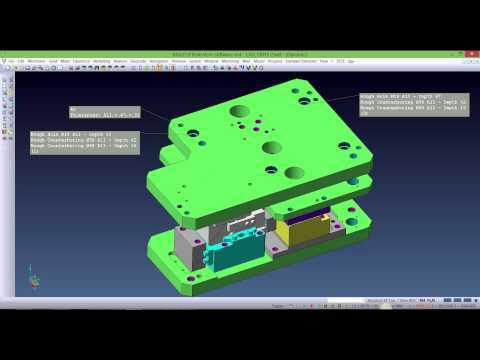 This can provide enhanced detailing possibilities for complex assemblies. Additional & enhanced geometry selection methods have been developed for VISI21. Multiple polyline selection options, visible geometry selection, and dynamic selection highlighting are also available. The open and closed profile creation has been streamlined. Also the Delete and Heal function now creates capping surfaces to maintain a closed solid body. With VISI 21, the quality of all import and export interfaces have been improved and updated to include the latest native CAD readers. Developments include a dynamic data preview during import, multi-file import, and an updated batch converter. In addition, information such as PMI data can now be imported with the CATIA V5, UG NX and ProE / Creo translators. The 3D strip design (including coining management) and the 3D tool builder has been significantly improved for VISI 21. 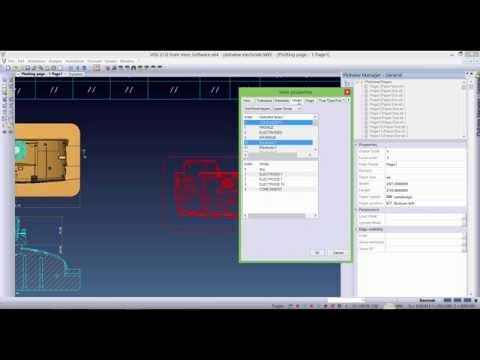 VISI 21 includes new toolpath trimming options. These include tool holder trimming, obstacle trimming, and trimming to stock. There are various options to keep only the trimmed toolpath, or keep both variations where the trimmed toolpath is managed as a child subset of the parent toolpath. General improvements for drilling operations including depth protection against model geometry and auto depth management for through holes drilled from multiple directions. 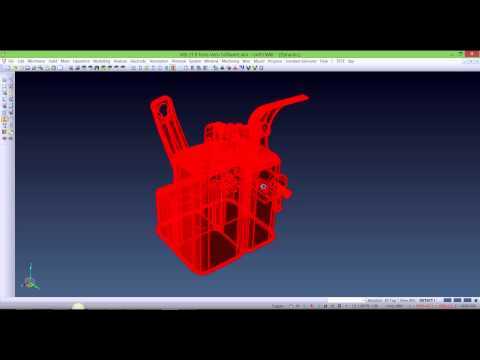 Improvements to both the MFR & AFR feature recognition engines have been made, now allowing them to automatically select complex 2D machining features. Comparison showing the different results from V20 and V21 2D operations. 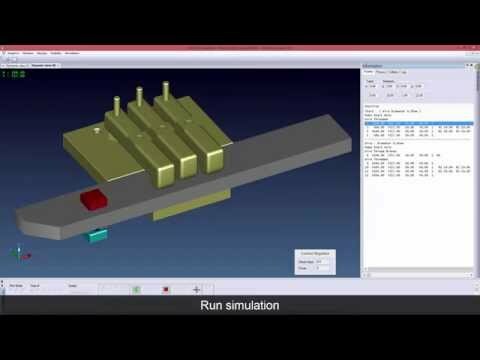 Common new parameters included for all 2D machining operations, multi-step and complex features managed. Toolpath transformation – existing operations are mirrored to a new CAM-Setup. New CAM function “Smart Profile” used for creating open and closed operation boundaries, automatically suggest profile paths from selecting a minimum of geometry edges. New concept incorporated into 3D & 5-Axis CAM operations allowing the creation of machining face lists and face groups providing enhanced model management and collision checking. General feature management improvements including feature transformation functions, enhanced feature sorting options and the ability of create profile folders, allowing simplified management of machined features. The "Smart" operation is a new operation type that eliminates the need for the user to assign a specific 2 or 4 axis operation to a feature. The operation allows sharing of technology and parameters for mixed mode cutting on various feature types. AC CUT HMI - The new AgieCharmilles machines with HMI controllers are fully supported with VISI 21. The technology information is read from the AgieCharmilles EDM Expert software, which is now integrated into VISI 21. With version 21, the existing slug retention functionality has been expanded to five geometrical types. These retention types create a clamping effect around the punched part, retaining it within the cutting die. This prevents the punched part "pulling" away with the punch and damaging the tooling. This additional Wire EDM 'move' operation provides the ability to control nozzle movement to navigate around work holding structures and to also provide simple linear cuts.